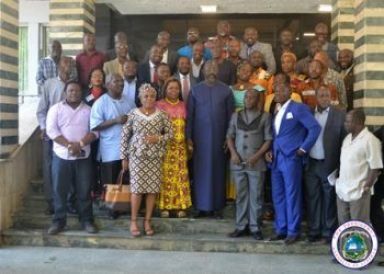 Monrovia, Liberia:President George Manneh Weah has resubmitted to the National Legislature a Bill with modifications, to repeal some sections of the Penal Law of Liberia in an effort to decriminalize free speech and create an unfettered media environment. The Bill submitted May 31, 2018 seeks to amend Chapter 11 of Penal Law of 1978, repealing Sections 11.11 on criminal libel against the President; 11.12 on Sedition and 11.14 on criminal malevolence. “Honorable Speaker, Chapter 111, Article 15 of the Constitution provides for Freedom of Speech and expression and a caveat of an abuse thereof. Additionally, Liberia is a signatory to the Table Mountain Declaration which demands that African countries abolish insult and criminal defamation law,” the Liberian Leader said. The President also reminded the National Legislature of the legal instruments on press freedom Liberia established, such as the Freedom of Information Law (FOI) and the Independent Information Commission. If enacted into law, the Act will be known as the Kamara Abdullai Kamara Act of Press Freedom, in honor of deceased journalist Kamara Abdullai Kamara, former President of the Press Union of Liberia (PUL). President Weah emphasized the important role Mr. Kamara played in convincing national government to repeal provisions on the Penal Law of Liberia, which impede freedom of speech and independence of the press in Liberia but did not succeed. 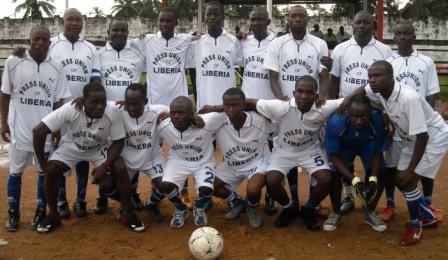 ‘Therefore, the purpose of this Act is to repeal sections of the Penal Laws that have a tendency of making Liberia non-compliant,” President Weah underscored. The Liberian leader described the action as a proof of his government’s commitment to uphold the constitution, Table Mountain Declaration and other International Treaties relating to the Press and press-related activities.